Add a large vase in Checkout. 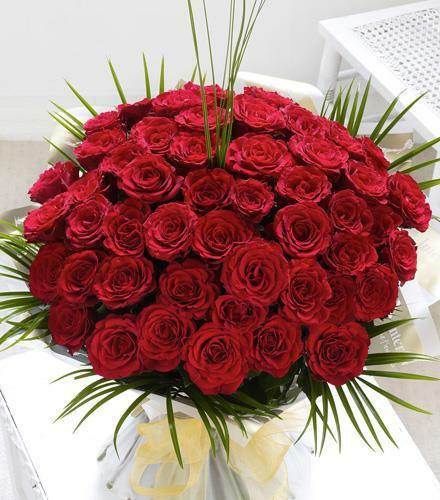 These fifty irresistable large headed roses are the absolute essence of a grand romantic gesture.Arranged by hand and finished with sumptuous gift wrapping and luxurious ribbon. Luxury Flowers - Fifty 50 Roses Hand Tied Gift Wrapped. Arrangement Details: Featuring 50 large headed roses hand tied with greens and finished with gift wrap and ribbon.